Lots of companies need to understand what CIOs are thinking, but it’s hard to get a group of busy people to give meaningful answers about the products they use or their budget priorities in public forums for obvious reasons. Pulse Q&A is a new company in the Y Combinator Winter 2018 class that wants to change how we gather and share this valuable information. 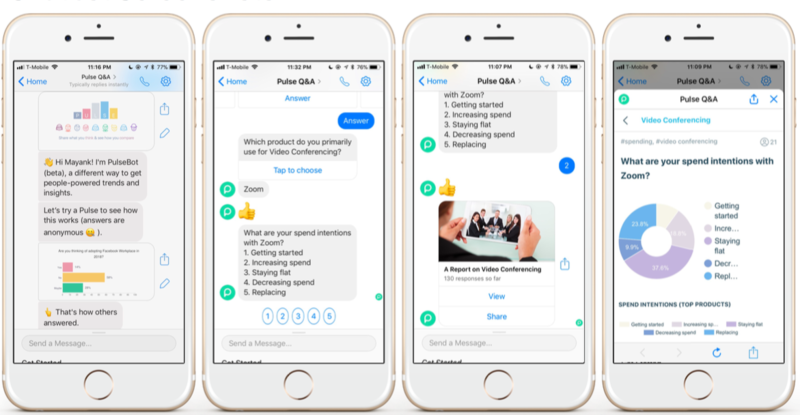 “Imagine you had a chatbot where you could ask CIOs for exact information and crowdsource the [answers],” says Pulse co-founder and CEO Mayank Mehta. That’s exactly what Pulse Q&A hopes to provide. It has already attracted over 2000 CIOs to its Facebook Messenger chat tool and the one it runs on its website. The idea for the company has its roots in a problem that the founders encountered in earlier startups. They needed to talk to hundreds of CIOs to find the right product-market fit, a process that took months to complete. The idea of a crowd-sourced platform where they could ask questions in a centralized fashion to speed up that process began to take shape. It launched the company last year and has built up a stable of CIOs through word of mouth, email marketing, Facebook ads and LinkedIn. Mehta says they don’t offer financial rewards to get people to answer questions, but instead give them points for participating, which they can exchange for information by asking their own questions. Mike Kail, who is CTO and co-founder at Cybric, a security as a service startup, who had previous executive stints at Netflix and Yahoo, said he had known Mehta and liked the idea of a private network where IT executives could discuss issues outside of a public forum. Kail said he gave up on LinkedIn groups, which he says are is not a place where you can be candid or transparent. 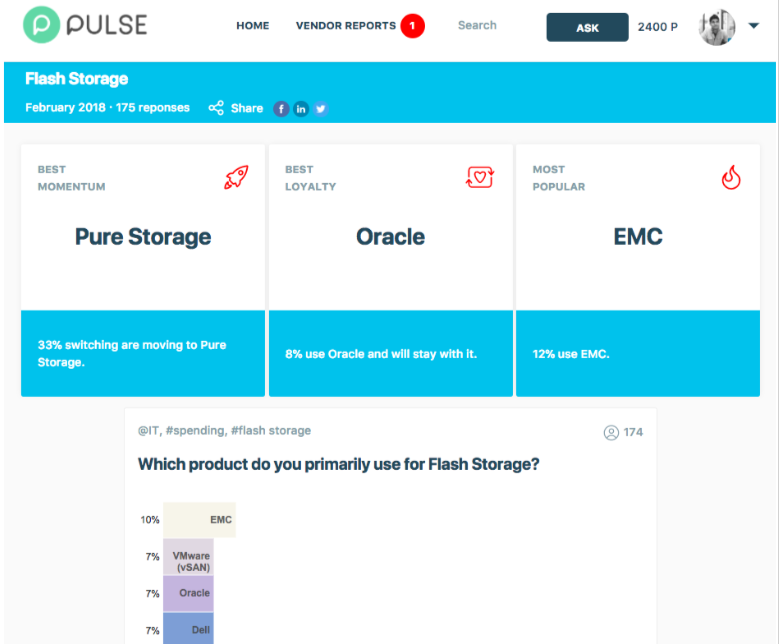 Pulse Q&A has a broad range of paying market targets for the product including CFOs and CEOs who want to understand CIO benchmarks, CMOs who want to tune their messaging to the needs of CIOs, Hedge funds managers looking to validate investment decisions and journalists looking for data on the business impact of the technology they are writing about. While the company is still working on pricing models, it doesn’t come cheap, starting at $2500 for a hundred responses to five questions, Mehta said. They currently have two dozen paying customers. The founders have found being part of Y Combinator to be an invaluable experience. “We are getting emotional support of being an early stage startup from other portfolio companies and partners and support from Y Combinator community,” Mehta said. As for the future, the company hopes to expand beyond the two current channels of Facebook Messenger and its web client to Skype for Business and Slack and to continue to build out the CIO network and the product, making it easier to ask questions and get specific answers and filtered reports.